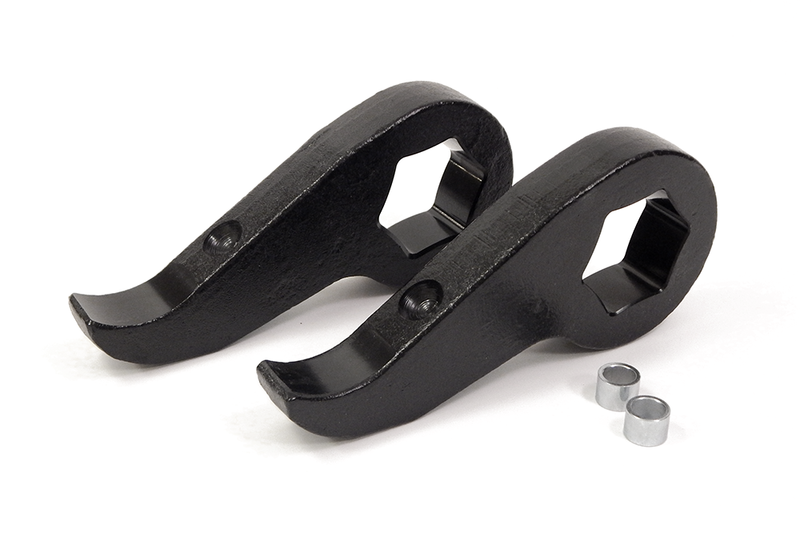 Install our 2 inch torsion key leveling kit for Silverado and Sierra to increase your ground clearance. It will give you’re the lift and the look you want. Level your 1999-2006 GM 1500 Series 4WD pickup truck with Southern Truck's forged torsion bar leveling keys. The forged keys level the front of the truck with the rear, while allowing for ride-quality adjustments. With simple no-cut and no-drill installation, you will be on the road, leveled and ready to go with the strongest forged keys in the industry. Do not settle for castings! While underway, enjoy your new ride height, increased ground clearance and tire size capability of up to 32 inches.